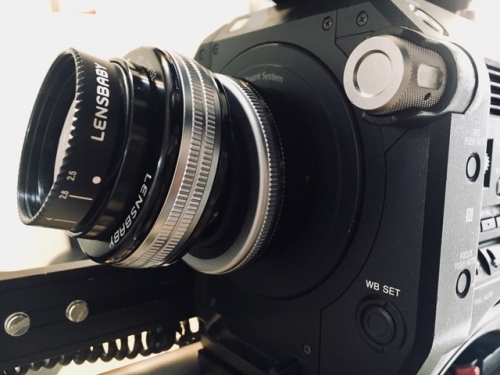 The History Channel requested we use the amazing Lensbaby and Dji Osmo to enhance imagery on our recent shoot in the Netherlands entitled “Return to the Moon”. The programme is exploring the very real prospects of colonising the Moon. We interviewed various experts from the ESA (European Space Agency). The Lensbaby is perfect for selective focus photography and to create “Bokeh” effects. The focus can be manipulated off axis to move the sharpest area of focus to another spot almost anywhere in the frame. The subject that needs to be in focus will be rendered sharp while everything else will be out of focus, even if it’s the same distance from the lens. The Lensbaby was initially developped for use with SLR cameras and found great recognition amongst stills photographers. It wasn’t long before it became popular amongst film makers too who up until now had achieved similar effects with tilt-and-shift lenses. Definitely a great toy and our DOP enjoyed working with it!